Family run and operated. Honest, reliable, quality work! Fully licensed and insured. 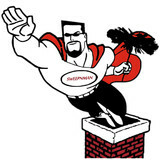 Sweepnman, Inc. Specializing in a phases of chimney service and restoration. Our mission is to do the right thing, every time, no matter what. We repair custom masonry fireplaces within strict adherence to building codes that specify for clearance of combustible materials, mortar types, distance between firebricks, dimensions and materials of firebox and flue, and seismic reinforcing. It is important when installing a new chimney insert that the dimensions of the flue match the new output. You can trust that your fireplace insert will be installed the safe and correct way because we are licensed professionals and do this type of work every day. Boston area residents will be met with a dedicated professional with experience in repairing chimney materials of all varieties. Damaged flashing is a major source of water damage and flooding, but it poses other issues as well. In some extreme cases, damaged flashing can cause the entire chimney to collapse! So, don't put off your fireplace repair. Contact Boston Chimney Repair to fix any worn, damaged, or missing flashing. 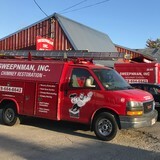 We are also proud and active members of the Chimney Sweep Guild. The NCSG is dedicated to encouraging professionalism, ethical accountability, and advancing the chimney and venting industry. The NCSG also provides progressive services for its guild members. Backed by the National Chimney Sweep Guild, our company is the obvious choice for customers who want honest and reliable fireplace repair services. Axon Chimney Services is your Lowell's premier choice for all of your chimney service needs! Contact us today to find out why! Here at Above & Beyond Chimney Service, we pride ourselves in providing Southern Massachusetts with the very best in chimney, fireplace, dryer vent and air vent care. Our owner, Todd Ramsey, is a well-respected business leader in our area, and is dedicated to continuous company improvement and growth. As a family owned and operated company, we have over 25 years of industry experience and are founded on strong internal values and uncompromising integrity – which means that with Above & Beyond Chimney Service, you can expect honest, ethical business practices and actions, no matter what. From our level of professionalism and cleanliness to our perfectionism, skill and dedication to education – we believe you’ll find that your experience with us goes far above and beyond your expectations! We are a Full service Chimney Repair and sweep service. While a toasty fireplace is a luxury, it also comes with the responsibility of keeping it clean. Any chimney sweep in Natick, MA can tell you that most homeowners neglect their chimneys, thus affecting the efficiency of the fireplace and risking potential disasters like a house fire. Don’t put you and your family at risk this year — find a local Natick chimney cleaning service to inspect and repair yours so that you’ll be warm and cozy when the chilly weather comes to town. 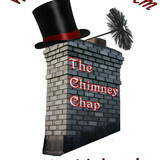 Why do I need to hire a chimney cleaner in Natick, MA? Fireplace cleaning always seems like a messy task, and that’s because it is. Creosote, better known as soot, forms when wood is not properly burned — unburned tar vapors stick in the flue, or walls, and are tricky to clean but can lead to chimney fires if not taken care of. In fact, about a quarter of all residential fires that occur in the United States are caused by creosote buildup. That fact alone should motivate you hire a Natick chimney sweep as soon as possible! Other common problems that a fireplace and chimney inspection should catch are damaged or decaying mortar and joints, leaks that let in air or water, and even animal extraction. Chimney repair is an important part of keeping your entire Natick home safe and sound, so keep yours in tiptop shape to reap its benefits safely. The Chimney Safety Institute of America actually certifies chimney sweeps, so you know if they are CSIA certified that they will do a good (and safe) job. It’s recommended that you get a full chimney inspection once a year at least, so don’t hesitate to call a chimney service in Natick, MA at any point during the year if you suspect something is not quite right. 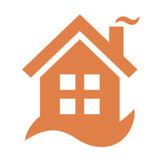 Find Natick chimney cleaners on Houzz. Narrow your search in the Professionals section of the website to local chimney cleaning services in Natick, MA and read reviews and ratings to find one that fits your needs.